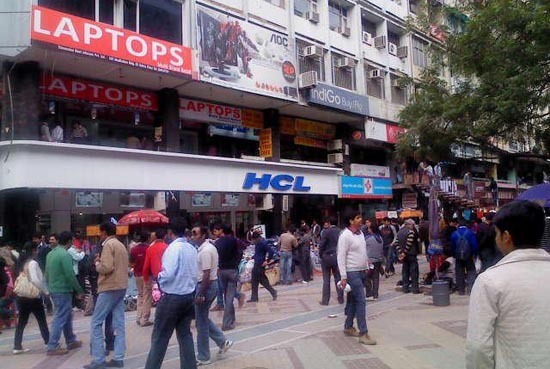 Mumbai’s Lamington Road which is a main hub of electronics and IT products will soon come under CCTV surveillance. Trade Association of Information Technology (TAIT) in association with Mumbai police has initiated an ambitious project of installation of CCTV cameras in the entire Lamington Road. This is said to be the first venture where any IT association and police have join hands for benefit of dealers. Mr. Jhaveri said that Senior Inspector of Police Suresh Hujband has officially authenticated this project. “All India Radio & Electronics Association (AIREA) will provide technical expertise in the project. This project will certainly help us to cut down crimes in Lamington Road”, he said. Highlighting the unique point of the venture, Mr. Jhaveri said that all members will have direct access to CCTV recordings and they can check the data at any time. Mr. Lawande said that police has identified total 25 spots between Grant road Junction and Vasant Bhawan area where CCTV cameras will be installed. “Our target is to stop crimes of robbery in Lamington road. We have also asked shopkeepers to come together and arrange watchman for the security of their shops”, he said. The cost of the entire project is around 10 to 12 lakh rupees and it will be born by the participants. The association hopes that the project will take off within a month. He said that if the project is properly funded they will block all the drains by putting iron gates at the entry points in a second phase. “We are in a process of procurement of CCTV cameras and other equipments. We are talking with agencies like Beta Intercom and have invited quotations”, he said. Once taken off, dealers and retailers in the Lamington Road market will get big relief from thieves and looters. Lamington Road to come under CCTV surveillance soon 0 out of 5 based on 0 ratings. 0 user reviews.